The wind will sing when you hang this classic wind chime from your porch or patio. 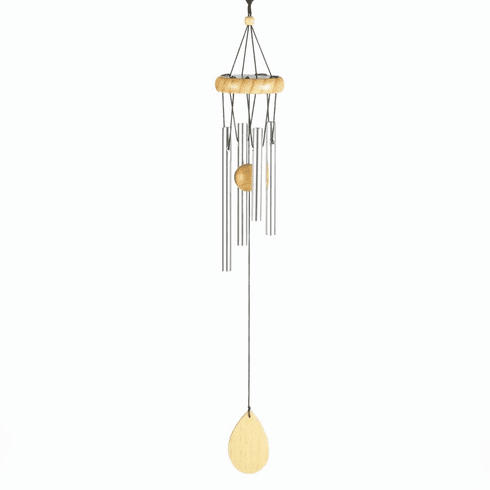 It features pine wood accents and aluminum chimes, perfect for turning the breeze into your favorite sound. Weight 0.1 pound. 2.75" x 2.75" x 19". Pine Wood, Aluminum. UPC Number: 849179029470.